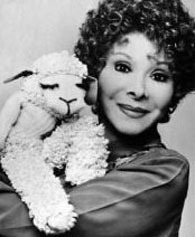 I found a dvd of Shari and Lambchop thinking my daughter might enjoy it.She loved it from the first episode and was surprized to learn I watched her when I was a little girl. I just loved this program when I was a kid, with Charley Horse and Hush Puppy as well. It was still on the air in the mid-'90s when my daughter was young, and we videotaped every episode and watched them over and over. My daughter still talks about the "Don't Wake Your Mom" video; she took it seriously -- and woke me instead on weekend mornings.